Relive the glamour of classic jetliners. 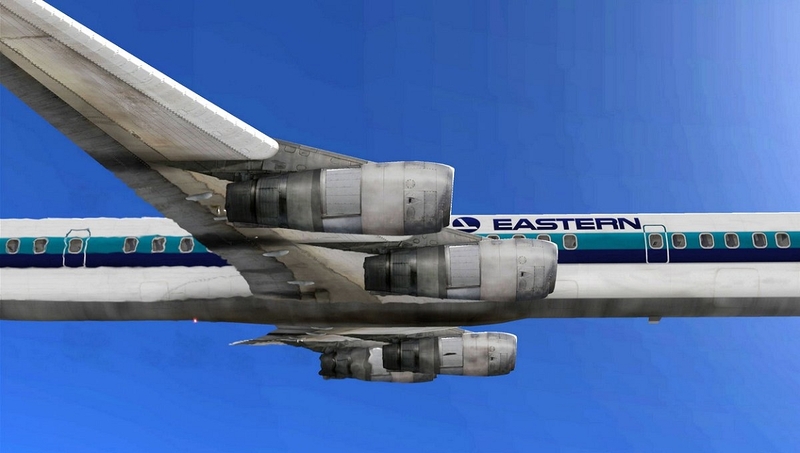 Built in 1958 by the Douglas Aircraft Company, launched after the competing Boeing 707, the DC-8 nevertheless kept Douglas in a strong position in the airliner market. The DC-8's are unique in that reverse thrust is used in flight, the spoilers are only used to dump lift after touchdown. Also it is designed with no leading edge slats. 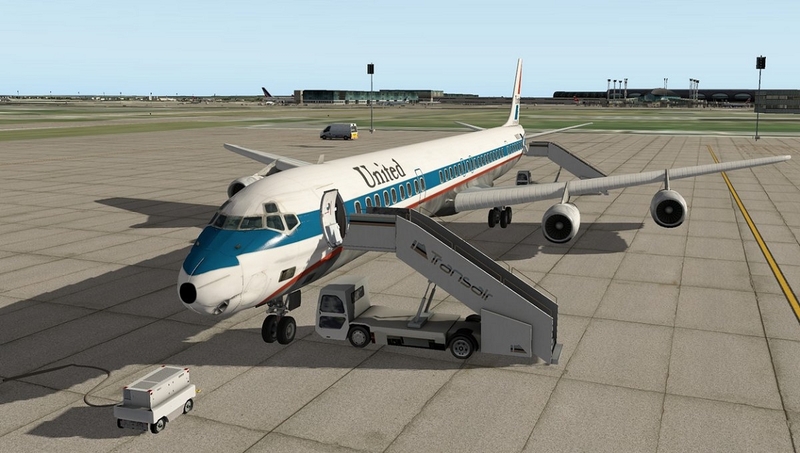 Another unique feature is that when crosswind landing, the DC-8-71 is landed in a crab all the way to touch down, otherwise the large engines would scrape the runway. the landing gear is made strong enough to take the side force. It is also unique in that it is one of the only airliners to break the speed of sound in a shallow dive. 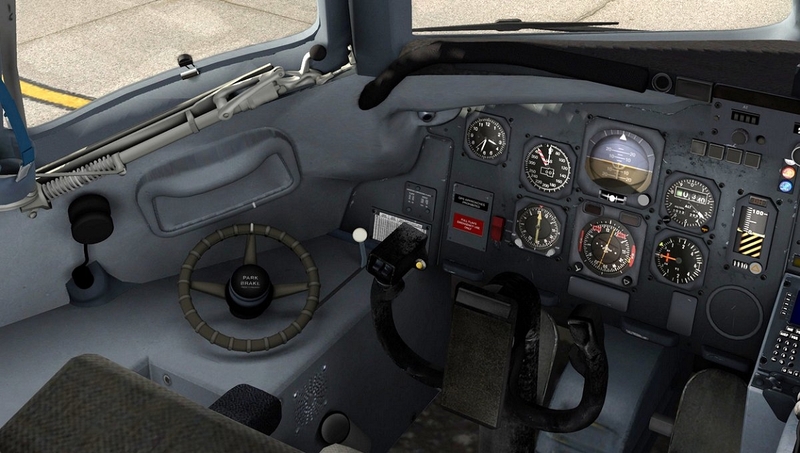 For a better use of the cockpit, 9 view presets have been added. You can slide from one to another using the number pad, or assign new keyboard keys in the â€œJoystick and Equipmentâ€ menu. As in any airplane you are looking for a 3 degree glideslope. At 258,000 lbs which is the max landing weight for this series you will need about 142 v-ref and it will give you about a 500-700 feet per minute decent. As in any other airplane, if you are not stable by 500 feet agl abandon the approach. One thing you can do to get the feel of an airplane is always fly an approach coupled to the autopilot and you control the airspeed. Stabilize the airplane at around 700 foot per minute decent and look at what speed you get. 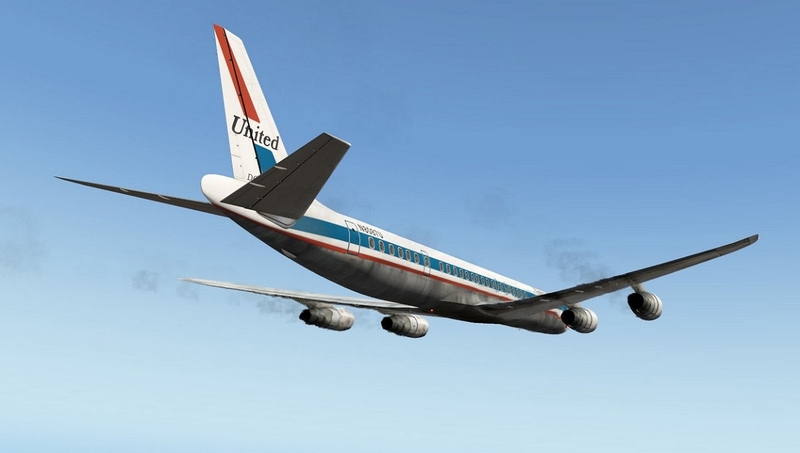 Here is a little profile you can fly with the dc8. 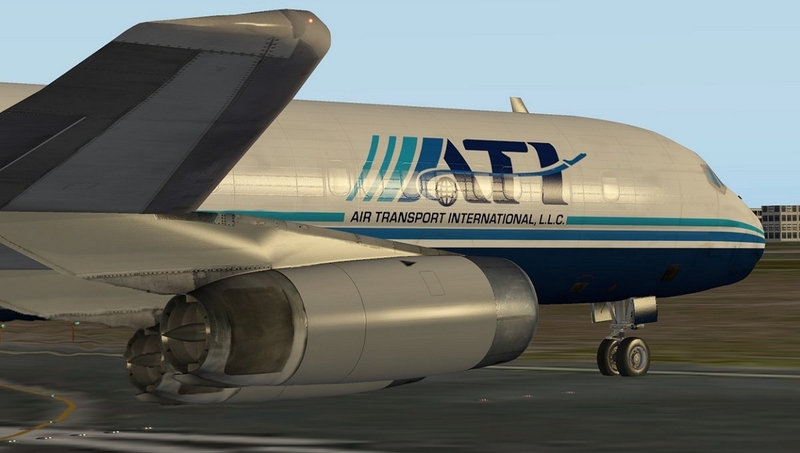 It is the actual profile we fly at ATI. It sort of makes me enjoy the simming experience more as well as keep me sharp in real life. Since we don't have speed bugs I always rotate at about 140 kts. I have to trip the nose down to keep bird on runway. 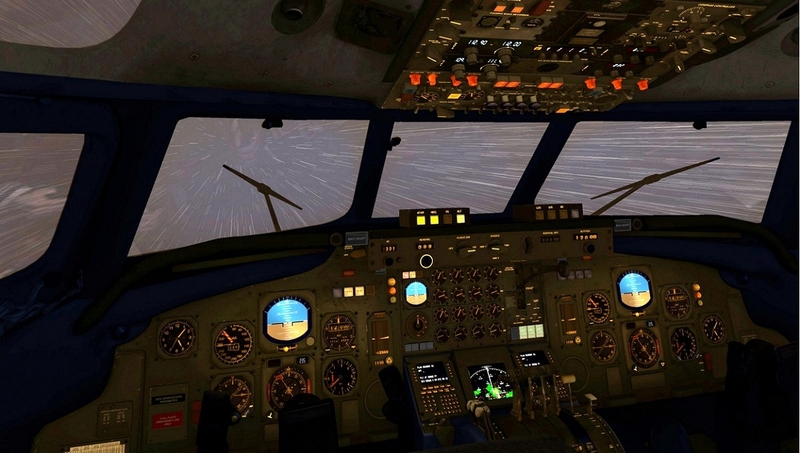 Never rotate more then 8 degrees initially or you can hit tail on runway. After lift off go to 15 degrees and hold it. 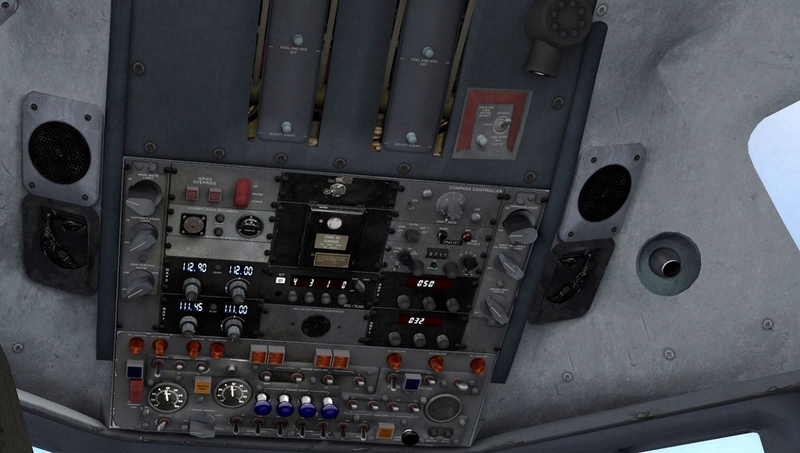 Once I take off I hold 160-170kts to 1000 feet, select flaps 15 and continue to accelerate. At about 200kts I raise flaps and continue to 230kts to 3000 feet agl. At 3000 feet agl we decrease vertical speed by half and accelerate to 250kts then hold that to 10000 feet. At 10000 again decrease vsi to accelerate to 300 knots and climb at 300kts to cruising altitude. On downwind or 18-20 miles on a straight in I select flaps 15 (Approach check) and right away flaps 25. 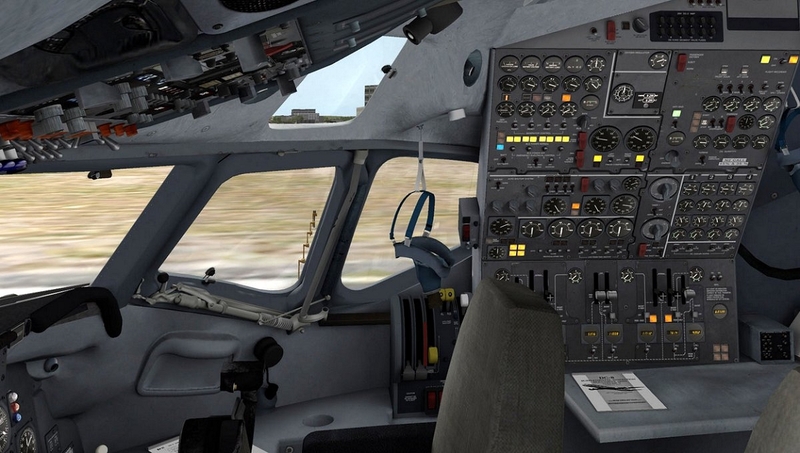 Gear Down (Before landing check), On 1 dot above the glideslope flaps 35.
reversers in flight. 2 and 3 can be used inflight to full reverse thrust. 1 and 4 can only be used when the gear is down.